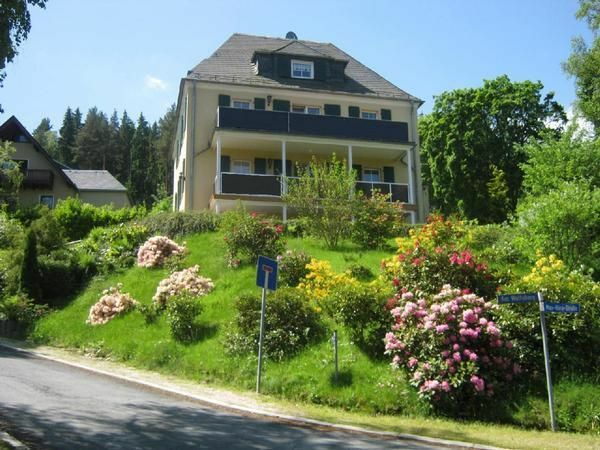 The spa town of Bad Elster is located in the Elster Mountains, bordering the Vogtland Nature Park at an elevation of 500-600m. This comfortable and modernly furnished holiday house is in a quiet sunny location at the at the edge of the cliffs and forest. This 78 square metre accommodation is located on the first floor and due to its cliffside location, has a large balcony. Spa facilities, shopping options and restaurants are located in the immediate vicinity and are easily reached on foot. A large garden with seating and grilling options lures you outside to relax in nice weather. Childrens play area in the village (300 m). The region also offers the most ideal conditions for hikers and cyclists. Favourite excursion destinations: Vogtland Arena (20km), Karlsbad (50km), Marienbad (80km), Dresden (180km).